This marketing guide has been created just for Healthcare companies! CMDS is pleased to present the following full service online marketing plan for Healthcare companies. We want a long lasting, mutually beneficial relationship and are dedicated to making your Healthcare marketing ventures more than successful. The information contained herein details the services suggested by CMDS in order to grow your business successfully. Based on the history of our efforts working with Healthcare companies like yours, an average investment of $3,500 will allow CMDS to use its award-winning design and marketing capabilities to create an online presence that helps to drive more qualified traffic, leads, and business through your website. There are no surprises. This is why we tell you what it will cost up front. Variation in price will be for a Healthcare company who wants to be more aggressive with marketing or has additional circumstances. Take a moment to check out what the following will do for you. Visit our website lead generation infographic! CMDS can provide web site design and development for Healthcare companies. Our design services will be aimed toward increasing traffic to the website and increasing the user experience on the site by improving its flow and functionality. It’s also imperative to have strong calls-to-action and search engine optimization elements. CMDS will perform modifications to your Healthcare website on a monthly basis, including a monthly keyword analysis for appropriate industry search terms that will serve as the foundation for the onsite and offsite optimization. A website presentation review is conducted to evaluate the effectiveness of your calls-to-action and will be addressed as needed. CMDS will make content updates for the site and implement all content provided by your company for these updates. Page naming conventions, Image Alt Tags and Link Title Tags are created/modified to enhance online visibility. CMDS will install/utilize analytics on your site in order to accurately track key site reporting elements, including monthly site visitors, bounce rate, pageviews, average time on the site, and conversions. Gaining content spots on high traffic blogs increase your search rankings, social presence and overall traffic. CMDS will search out high traffic blogs and develop relationships with editors. We guest blog and submit content for editors to use as a jumping off spot for a subject on their blog. CMDS will write and submit posts that provide readers with pertinent information about your company and also create valuable inbound links that result in greater search engine visibility. CMDS can research and write articles on a monthly basis for your site and social networks. Adding pages and page content to your site on a monthly basis will keep your site fresh and allow both humans and search engine spiders to come back to your site on a frequent basis. This will result in proper indexing and optimal traffic results. CMDS will establish and maintain the updating of popular social networking sites. Social networking sites are high-volume media channels that allow pertinent information to be disseminated to a large population all at once. CMDS will establish profiles in some of the relevant social sites each month. On a weekly basis, CMDS will make posts to and update all existing social networking accounts with information pertinent to your company. CMDS will, on a weekly basis, promote all existing social networking accounts in order to gain more followers/friend/subscribers. Paid search is a great way to show your ads to target demographics and can be performed at close to whatever budget you specify. We’ve seen that this form of marketing for Healthcare companies allows you to target well beyond traditional marketing tactics and clearly gauge the success of your efforts. CMDS is a Google AdWords Certified Partner which means that your marketing dollar works harder and smarter for you. Yes, its still relevant! CMDS will submit your website to hundreds of search engines on a monthly basis. Search engine submission notifies search engines that your site exists within the Internet, which helps to increase your search engine rankings. CMDS will create and submit a sitemap to all major search engines. Sitemap submission allows search engines to index all the pages of your site properly for more traffic generating opportunity. CMDS will create, send, and manage a targeted email marketing campaign around an existing client list and/or any new clients and prospects that are gathered as the campaign continues. CMDS will send up to two emails per month. Additional fees may apply based on email management provider. CMDS will use Google Analytics to monitor all site activity on a monthly basis and send automated monthly reports, which includes a monthly review of important site elements. CMDS brings a unique perspective to our Healthcare clients and their marketing; a perspective that is unparalleled by other agencies and creates a wealth of opportunities for our clients. While you know by now that a website should be more than an online brochure, you may not have been able to truly leverage the power of your site to increase your business’s bottom line. CMDS approaches each marketing initiative as a way to not only inform site visitors about your offerings but drive a qualified user base to your website where we convert site visitors into warm leads. 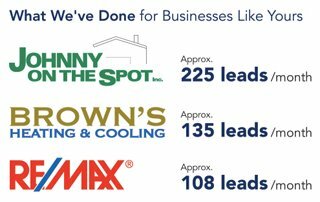 Through a proprietary conversion architecture system, CMDS leverages the power of specific calls-to-action in order to create influential sales pipelines that increase your lead pool and bolster your sales. 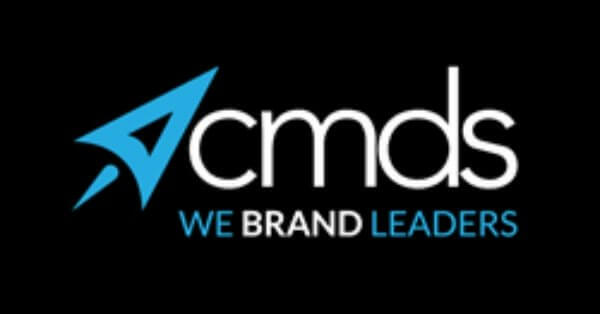 CMDS’ success is founded in our ability to positively impact our client’s revenue, provide the best customer care available, and partner with our clients to build long-lasting and lucrative relationships. Our capabilities are award winning, our service is extraordinary, and our approach is unprecedented – why would you trust your company’s profitability with any other agency? CMDS seeks to work with Healthcare companies who are willing to invest marketing dollars in their own Healthcare business in order to strengthen their brand, cultivate a larger and/or more profitable client base, and increase their share in the market. By receiving this page, you have been chosen and given the opportunity to be part of an elite club. We do not take all clients on, however we sincerely feel you and your company would be the perfect fit to our family. We look forward to working with you on this and future projects and thank you for your business.